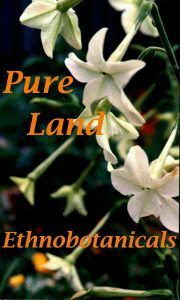 Ethnobotanicals.com places the utmost importance on the privacy of our web site’s visitors/customers. We respect and actively protect your privacy as a visitor and/or customer of our site. We will never disclose your personal information to any third parties for any reason. This means that your credit card information, name, shipping/billing information, AND email address, etc. are all 100% secure with us. We have been in business for OVER 20 YEARS and have never had a single instance of anyone’s info or security being compromised, as we secure the ordering processes on our web site with SSL certificates that ensure through full encryption the highest possible level of security for our customers, as we have done for the past 17+ years.